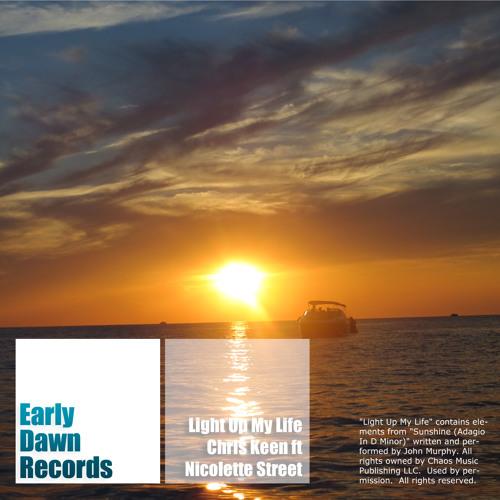 Beautiful, uplifting trance track from Chris Keen with stunning vocals from Nicolette Street. This track uses elements from "Sunshine" which has been fully licensed from SONY/EMI. Looking for a label to sign this highly commercial track. "Light Up My Life" contains elements from "Sunshine (Adagio In D Minor)" written and performed by John Murphy. All rights owned by Chaos Music Publishing LLC. Used by permission. All rights reserved.